Carol Costa is an award-winning playwright and a journalist. Carol has worked as an editor of books and newspapers, a business news correspondent, and managed a literary agency. Carol’s plays have been published and produced in New York City, Los Angeles, and regional theaters across the country. She has also worked as the Artistic Director of a community theater. She currently runs a Readers Theater in Tucson, Arizona that benefits a local charity. Over three of her books have been published by Penguin: The Complete Idiot’s Guide to Surviving Bankruptcy, Teach Yourself Bookkeeping in 24 Hours, and The Complete Idiot’s Guide to Starting and Running a Thrift Store. The first two books in the Dana Sloan series, A Deadly Hand, and The Master Plan, are being released as mass-market paperbacks by Harlequin’s Worldwide Mystery imprint. 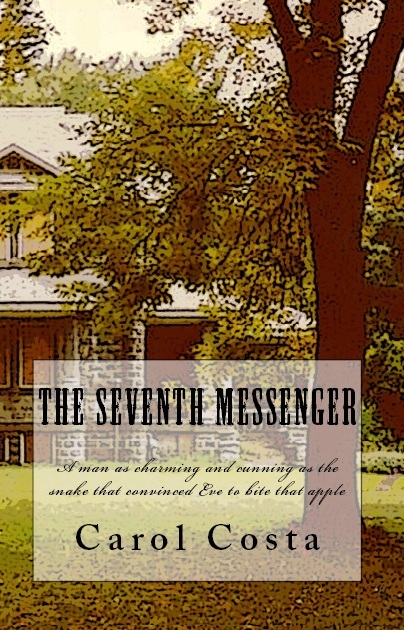 The Seventh Messenger ($15 – Click to Purchase, ISBN: 978-1463561024, 5.5X8.5″, 230pp): The history of the House of David and its members is a fascinating, often sensational tale, filled with torrid relationships, emotion, and drama. It is the story of people who persevered in the face of hardships and scandal clinging to their faith and living together in peace and harmony.